This module focuses on helping you to start making money using social media immediately. It teaches a simple, proven formula that can usually be executed in less than 20 minutes per day. Its truly a fast start guide to going from nothing to social media success in no time at all! Plus, this module introduces you to MarketMeSuite, a powerful, and popular, time saving tool for quickly achieving social media success! A lot of times people that try to use social media for building and growing their business do it the wrong way and suffer negative consequences Module 1 explain what you need to do so this doesnt happen to you and how to use social media so it bring you money for years to come. The modules that follow build on the foundational sys from Module 1, teaching additional techniques and formulas, plus helping you understand why each technique works, enabling you to easily adapt these formulas for your own business and interests. This module comes second in line, because of all the social media tools, microblogging is the easiest and fastest to build into a profitable source of traffic and credibility. It probes the world of Twitter, Foursquare and other micro-blogging sites, teaching you how to build a tightly-targeted audience and communicate with them in a way that creates trust and that trains them to consistently do what you ask them to do (clicking on links and taking specific actions.) Plus, this module introduces you to our powerful social media tracking tool, enabling you to painlessly track real-time mentions of whatever keywords you wish, keeping your pulse on the market and enabling you to proactively engage key audiences with answers to their questions and issues. Many people overlook the power of blogging, but in reality, a strong blog is the cornerstone of any successful social media effort. This module teaches how to optimize your blog, turn it into a cash cow, and send tons of carefully-prepped traffic from it into your money sites. Plus, it provides indepth coverage of content sharing sites & sites where you can post articles and other content, generating SEO link credit, credibility, and a steady stream of traffic that literally pays benefits for years! With a firm understanding of successful social media strategies and techniques under your belt, its now time to turn to the powerhouse social networking sites like Facebook and other social networking giants (you do know that Facebook isnt the biggest social network, right) This module teaches how to use those sites to build business without offending your audience and driving them away. It also shows some sweet techniques to gather and steer followers that generates consistent streams of profitable, trusting traffic. For the vast majority of companies, online video is the tool that has the highest potential to build sales, yet is the most underutilized technique in the online marketers toolbox. This module teaches how to quickly and easily create, distribute, and syndicate powerful videos that bring customers to your door ready to do your bidding. It also teaches how to turn video into a profit and traffic-building machine and how to integrate video into other areas of your online marketing to take everything you do to a higher level of performance. Most people dont realize that the real power of social media lies in the way that you integrate the different tools, strategies and techniques across each of the major social sites, your mobile presence and your sites, blogs, and stores. This module brings everything else learned in the course into a single, integrated whole, that puts you and your message in front of customers wherever they are online and continues that social, participative pattern in your existing web properties. It also covers mobile marketing and shows a number of key techniques to turn mobile into money. This module focuses on how to use social media as an affiliate marketer. While most of the major social media strategies and tactics also work for affiliate marketing there are some significant areas of difference, and more importantly, several key strategies that affiliate marketers can use that people marketing their own products and services shouldnt. This module introduce those strategies, show you what works, what doesnt, and why, and put another power tool into your affiliate marketing tool chest! One of the most powerful ways to use this course is to add a social media consulting practice to your company. This course covers that from soup to nuts everything from how to acquire clients, present to them, deliver results and get them to refer you to their friends, to how to staff and run a consulting practice. It also includes key tools, like presentation scripts, contract language and PowerPoint presentations you can use to build your practice. 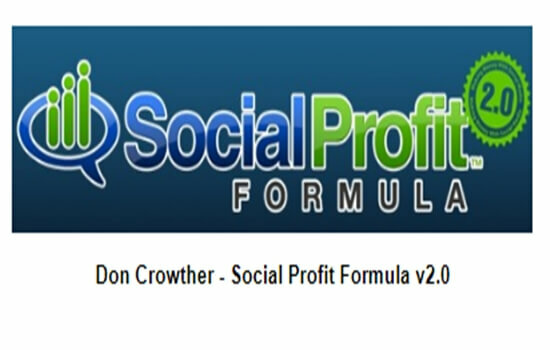 This module adds another, lucrative source of profits to your social media practice and gives you the tools to go from novice to pro in no time flat. Each module features multiple videos, each designed to teach a specific principle, strategy or technique. Modules will also include note-taking guides, workbooks, assignments, and transcripts to optimize the learning process. Each module also contains a weekly training question and answer webinar and a forum based on each video, so that questions can be answered and discussed in a simple, logical way.